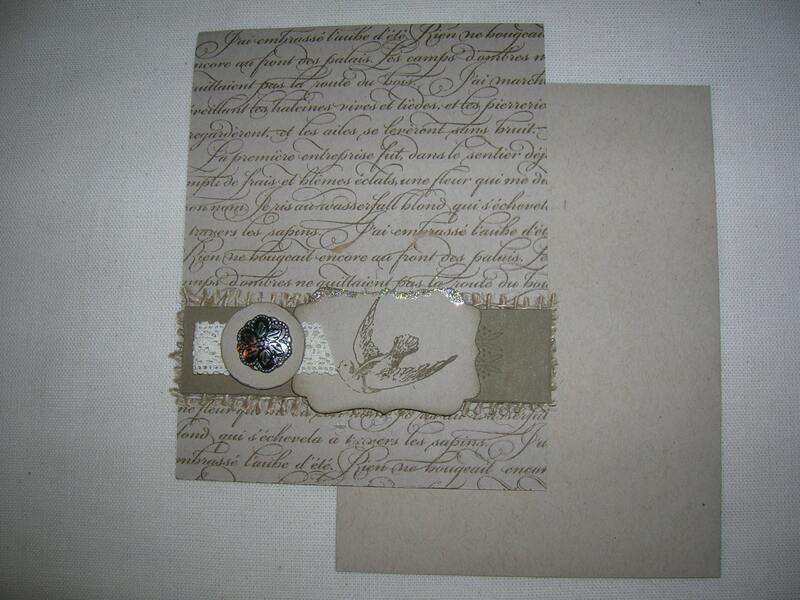 One hand stamped greeting card featuring french script writing background. Embellishments include burlap, cotton lace ribbon, fancy brad and label. Paris inspired theme with bird flying. Blank inside to write a sentiment.